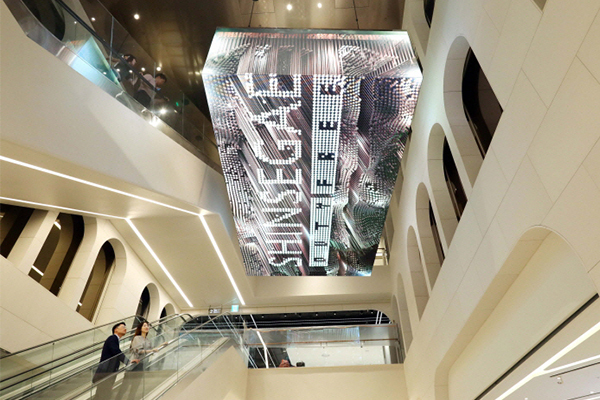 Shinsegae DF Inc., duty-free store operating unit of South Korea’s retail conglomerate Shinsegae Group, has opened its second inner city duty-free store in downtown Seoul, accelerating its efforts to become a major duty-free outlet operator in the country. The new duty-free outlet commanding a space of 13,570 square meters on five floors of Shinsegae Central City, or Shinsegae Gangnam, focuses more on luxury goods including shoes, accessories and watches to attract individual tourists who tend to spend much more on shopping than do those travelling in a group. The number of foreign shoppers visiting Shinsegae Central City rose 0.5 percent in the first six months of this year from a year ago despite a fall in Chinese tourists to Korea following Beijing’s ban on group tours to the country in retaliation against Seoul’s installation of U.S. anti-missile shield system. Over the same period, sales also gained 1.6 percent. The sales increase was largely driven by the addition of new six floors to the annex building that focus more on luxury brands and products, according to a company official. The company opened its first downtown duty-free store in the bustling shopping district Myeongdong in the other side of Seoul. 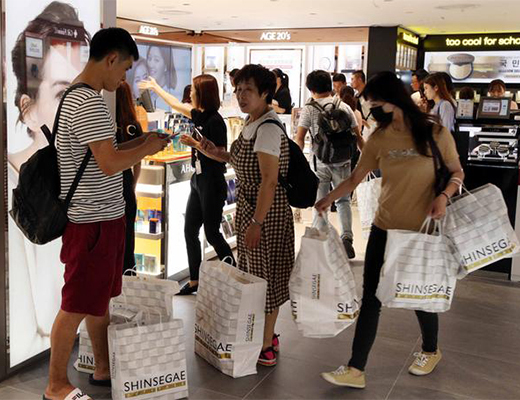 Shinsegae’s ambition to expand its footprint in the local duty-free industry also led it to succeed in winning licenses to run two more duty-free locations at Incheon International Airport, the country’s main gateway, in June. The new duty-free store in Shinsegae Central City will provide various promotional perks including Chicor’s face masks and gift coupons for Chinese tourists who rent a pocket wifi, a small box for personal hotspot.